The Sorelle Gallery in New Canaan recently held the launch of Circle of Care's " There Is. . . Life Within the Journey," an exhibit of more than 20 images by photographer and New Canaan resident Jeanna Shepard. 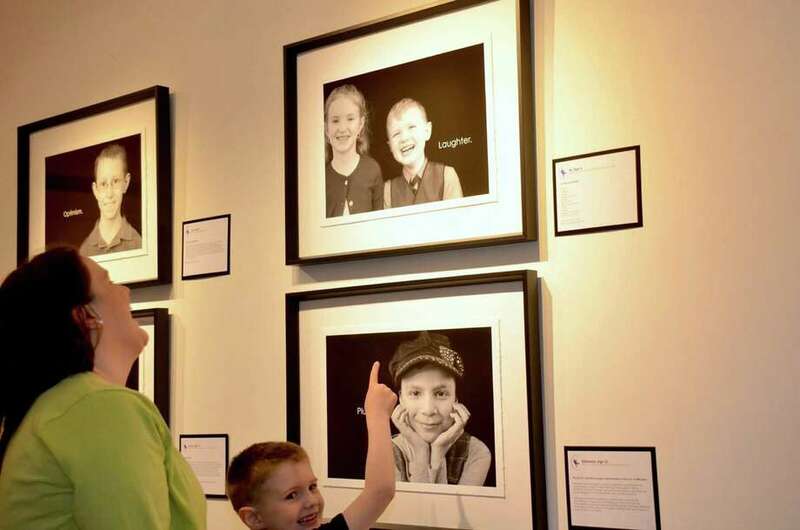 A crowd of more than 100 came to the launch to view the photos, which offer an alternative view of childhood cancer and feature children from communities across Connecticut. Above, Kendra Fredericks, a child life specialist with Yale New Haven Hospital, explores Circle of Care's "There Is...Life Within the Journey" photography exhibit during the exhibit's launch at Sorelle Gallery.